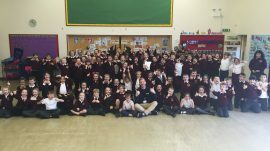 An excellent visit to Tywardreath School today! 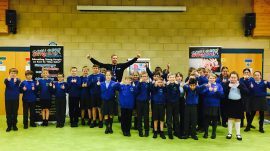 Really enjoyed working with these Yr5/6 pupils, holding our Anti-bullying workshop! See you next week for lower Ks2. 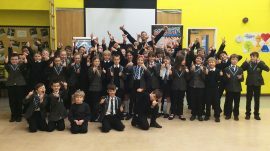 A great day at Mount Hawke Academy today! 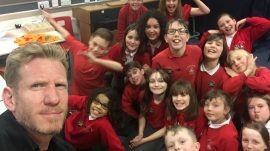 Working with a fantastic bunch of Yr5’s. Thanks guys! Our head Instructor Richard, will be speaking at today’s / tonight’s Parent Forum at Charlestown Primary school. He will be giving out help and advice on the subject of bullying. An extremely busy but positive Safer Internet Day 2017 at Heamoor School today.Great work guys. 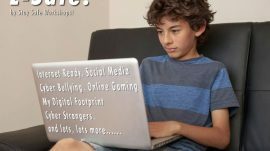 To celebrate Safer Internet Day 2017 were excited about piloting out new ‘E-Safe!’ workshop. This will be available to the masses very soon. 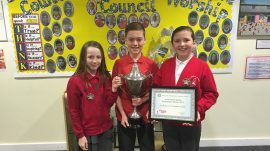 It was amazing to hear today that pupils from St Marys C of E Primary School came 1st place in the 2017 Royal Wootton Bassett Childrens Public Speaking Competition. 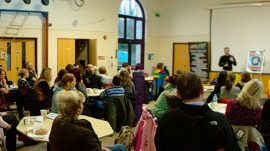 Using lots of content and advice given during our recent workshops. Their chosen subject “Internet safety”. This is totally amazing guys!! Thanks to the St Austell Voice for covering our work again! Say “HI” to the Super, Awesome, School Mentors from St Marys Primary School. 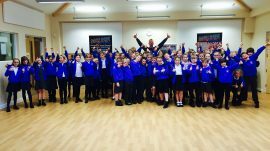 Well done to the Ks2 pupils from Woodborough Primary! 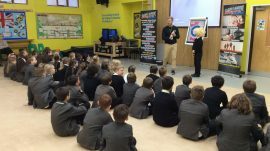 Great Anti-bullying & stranger awareness workshops. Well done. It was great to receive these today! These posters were made by Yr6 pupils at Tregony Primary following our Stranger Awareness Workshop. Well done guys. A fantastic return visit to this lovely school this year. to Tregony Primary. lots of fantastic Stranger Awareness role-play ideas from these Yr6 pupils at Tregony Primary school today! Well done guys! 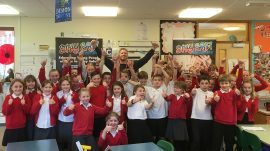 A great couple of visits to Liskeard Hillfort Primary School over the last two weeks. Working with a fantastic bunch of Yr5’s. Looking forward to returning in March for mentor training. 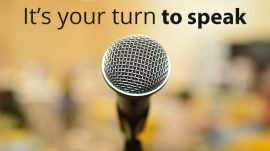 Our Head Instructor Richard will be the main speaker at tonight’s ‘child safety’ parents forum at Pondhu Primary. 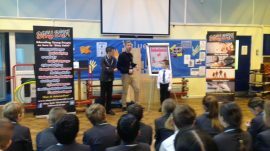 Today we have again welcomed Richard from Stay Safe to our school. 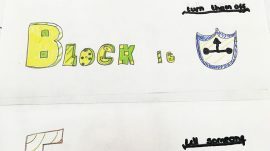 Through a fun, interactive and educational workshop, our pupils in Year 5 have been learning life skills to help protect them from bullying. 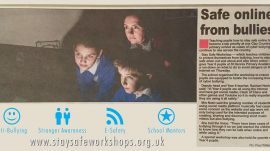 Next week the children will receive a workshop on staying safe when out and about on their own. A hard hitting but unfortunately true story. 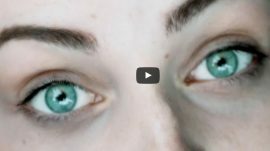 This is why we think young people (even primary school age) should understand the dangers of cyber strangers, a topic covered in detail within our Stranger Awareness workshops (obviously in an age appropriate way).